India and the UAE have launched a forum to discuss strategies and solutions to investor challenges in India due to taxation and policy related issues and evaluate business opportunities in infrastructure, alternative energy, tourism and finance sectors. The Arab-India Economic Forum (AIEF), in partnership with the Consulate General of India in Dubai, has been launched to bring together political and business leaders from UAE, Saudi Arabia, Qatar, Kuwait, Bahrain, Oman, Jordan, Egypt and India. The AIEF shall be focusing on opportunities in infrastructure, alternative energy, digital India, tourism and finance, the forum said in a statement. They will discuss strategies and solutions to investor challenges in India due to taxation and policy related issues in India and how the government can assist in creating a conducive business environment for investors, the statement added. Focusing on the growth sectors, it will address the policy framework and guidelines required to attract Arab investors and industrialists. It will be a strong platform for Indian businesses aiming to explore the Middle East market, the statement said on August 25. 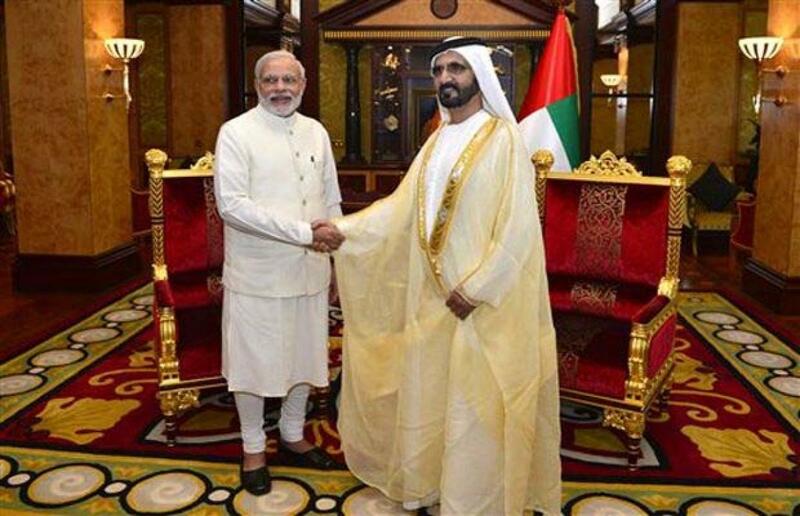 The recent visit of Prime Minister Narendra Modi to the UAE heralds a new era in bilateral relations and opens up new opportunities for trade and commerce, it said noting that the UAE-India Infrastructure Investment Fund is an indicator of the true potential this relationship holds.